Man facing charges of 7th OWI sentenced on a reduced conviction. BURNETT COUNTY -- A man facing charges of 7th Offense OWI in Burnett County has been sentenced on a reduced conviction of 6th Offense OWI. According to online circuit court records, Ross Kuehn, of Somerset, WI, was sentenced in Burnett County Circuit Court on March 20, 2019 for felony charges stemming from an incident in 2015. DrydenWire.com reported in March 2017 (see below) that Kuehn was facing charges of 7th Offense Operating While Intoxicated (OWI). According to the criminal complaint, Kuehn’s blood alcohol concentration test results were 0.282. Online circuit court records show that Kuehn appeared for a plea hearing on his charges in January 2019. 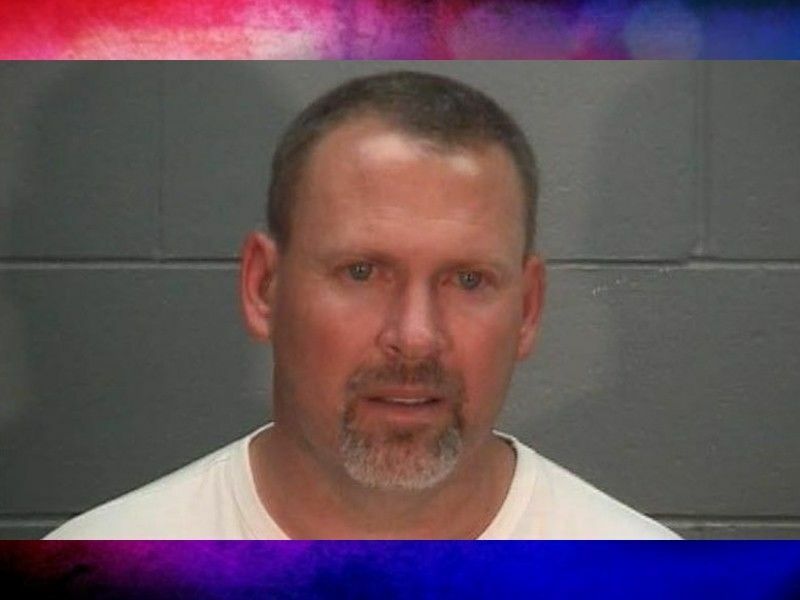 The Court accepted Kuehn’s plea to a 6th Offense OWI after hearing statements from both the defense and the prosecution that no court documentation was available to confirm one of Kuehn’s alleged prior convictions for OWI. At Kuehn’s sentencing hearing on March 20, 2019, Burnett County District Attorney Schieffer requested a sentence of 12 months with 2-3 years of probation, according to online circuit court records. Kuehn’s defense attorney requested 6 months jail time to be served on monitor. The Court ordered 9 months of conditional jail time on a withheld sentence, with 3 years of probation. Kuehn was ordered to serve 7 days in county jail in addition to 43 days already served, to make a total of 50 days; the remainder of his 9 month jail sentence may be served on house arrest. Online Circuit Court records go on to state that the Court also ordered Kuehn to undergo an alcohol and other drug assessment and complete any follow through recommended by the Department of Corrections. Failure to comply with his requirements will result in revocation of the withheld sentence. BURNETT COUNTY — A Somerset, WI man faces a charge of 7th Offense Operating While Intoxicated (OWI) in Burnett County Circuit Court. According to the criminal complaint, on September 26, 2015, a Wisconsin State Trooper came upon a vehicle in Burnett County which was stopped on Lost Lake Road in the westbound lane but facing east with its headlights and taillights on. When the trooper approached the vehicle he saw that the driver of the vehicle appeared to be sleeping and that the vehicle's engine was running. The trooper also saw an open bottle of Coors beer in the cup holder in the center console of the vehicle. The criminal complaint continues stating that the trooper opened the driver's door of the vehicle and yelled to wake the driver while shaking his shoulder. When the driver did wake up, the trooper asked him what he was doing there, to which the driver responded, “I can't park here?” in slurred speech. The trooper asked the driver for ID, and the driver began looking in the center console of the vehicle. A couple minutes went by, and the trooper suggested to the driver that he check his back pocket. The driver struggled to get his wallet out of his back pocket, but finally did and was identified as Ross Kuehn. Kuehn attempted to complete the field sobriety testing as directed by the trooper, but after Kuehn nearly fell down more than once, the trooper stopped the testing to prevent possible injury to Kuehn. Kuehn gave a preliminary breath test sample and the criminal complaint states that the result was 0.242. When the trooper removed the open bottle of Coors beer from the truck to empty it, it was still cold and covered in condensation. The trooper took Kuehn into custody for Operating While Intoxicated. Kuehn agreed to an evidentiary blood draw. The results of that blood draw are listed in the criminal complaint as 0.282. If Kuehn is convicted of this 7th Offense OWI, he could face a maximum sentence of 10 years or a maximum fine of $25,000, or both.